Hello music-makers. We’re continuing our series of pitching tips from behind the music supervision curtain, to help you take better advantage of a pitching opportunity and ensure your music stands out from the submission crowd. Though generally we focus on the positive things you can do to make your music more tempting and easy to track down, today we’re looking at one definite no-no. You can find a list of more helpful tips at the bottom of this post. There’s nothing that makes a music supervisor’s heart sink faster. During research for a brief, you find a promising track. You click, and start to get into it. As the song builds you realise it might be just perfect for a brief – then suddenly the music dips out, replaced by a glum voice: “This a preview version.” Screech of brakes. A song submitted as a preview version WILL NOT be chosen for a project, even if we love the music, for a very simple reason: time. Advertising requests in particular work to a very tight deadline: clients may need a song to be cleared in a matter of days, even hours. A preview song is of no use to our clients, as they cannot use it to get a clear idea of whether the music will work with the film. Therefore, we would need to contact the artist, clear the song for use and have them upload the “full” version – and all this only to add the song to the shortlist. This extra time demand means that preview tracks are almost always immediately excluded from the shortlisting process. In the same vein as pitching only preview tracks, it might be tempting to record an ‘audio watermark’ over your songs. An audio watermark is used, much like a watermark on a photograph, to identify ownership and can protect your work from being stolen, as it is very difficult to remove. 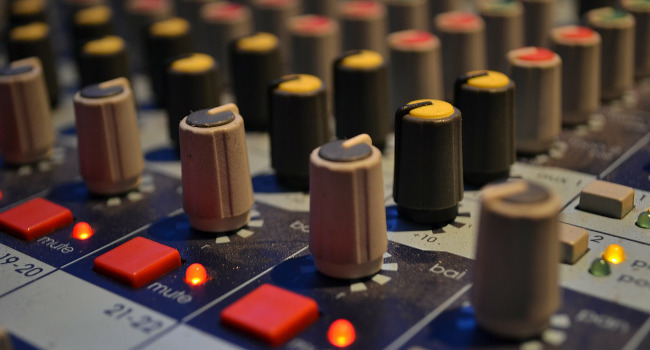 However, much like the preview version, an audio watermark makes it difficult for music supervisors to assess whether your song would fit to a brief and can present challenges. Not only does the audio watermark sound annoying to listen to, it can also create the impression that the overall quality of the work is not very high. Furthermore, if we would want to check if the song would fit to a video or film, the audio watermark makes it impossible test. Resulting in your music likely not being chosen. So while an audio watermark is protecting your track from being licensed without your permission, it’s actually going one step further and stopping your music from being licensed for projects you actually want to be involved in. The Tracks & Fields platform is designed to be a secure place to pitch your music, so that you do not have to worry about your music being stolen. If you have set your music to ‘clients only’, casual browsers will not be able to listen to your music. Instead the ‘clients only’ function allows only users who are actively looking for music, and have been manually screened by Tracks & Fields, to hear your track on the platform. On the other hand, setting your music to ‘private’ means that your music can only be heard by you. But it can be heard by clients too, if it is sent as a submission to a request. So please, don’t record over your tracks to “watermark” them. It’s off-putting and doesn’t give a fair idea of your music’s quality, it seriously hurts your chances of being chosen for a project, and it’s unnecessary in the first place. If you want to submit your track to the platform or to a brief, don’t do it by halves – give yourself a fair chance!